Free Shipping Included! 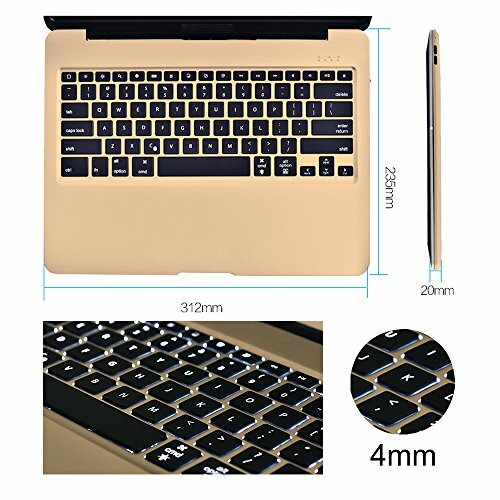 MOSTOP iPad Pro 12.9-inch Keyboard Bluetooth 7-color LED Backlit Slim Aluminum Wireless Keypad with Built-in 5600mAh Power Bank for iPad Pro 12.9'' (Gold) by MOSTOP at Pacs BG. Hurry! Limited time offer. Offer valid only while supplies last. 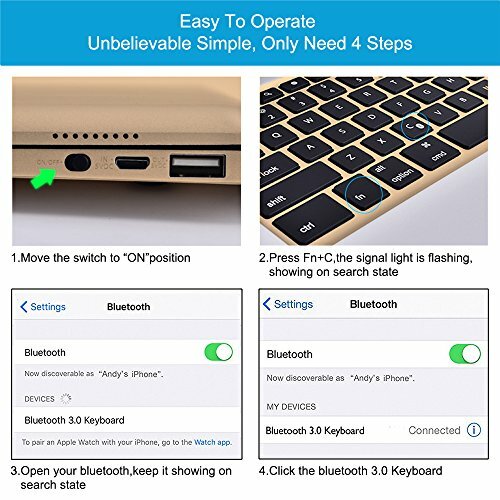 MOSTOP iPad Pro 12.9'' Bluetooth 7-color LED Backlit Slim Aluminum Keyboard with Protective Clamshell Will Give You Perfect Typing Experience! 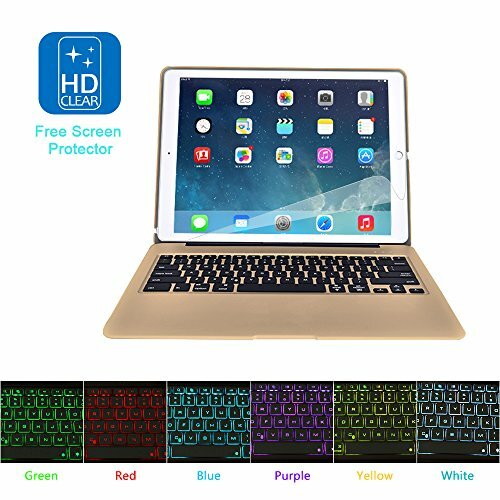 MOSTOP iPad Pro 12.9" Bluetooth 7-color LED Backlit Slim Aluminum Keyboard with Protective Clamshell Will Give You Perfect Typing Experience! 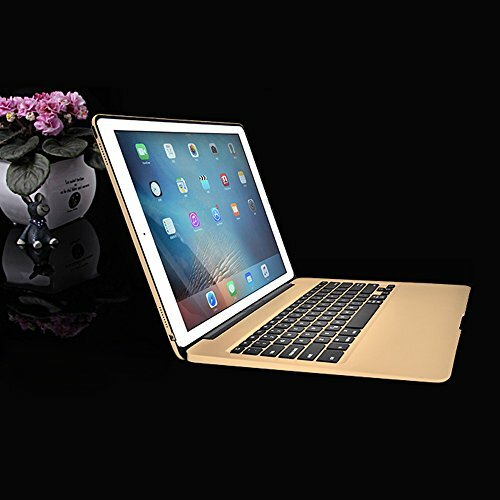 Keyboard Made For iPad Pro 12.9"
Simple and stylish keyboard with clamshell cover case, only designed for iPad Pro 12.9". 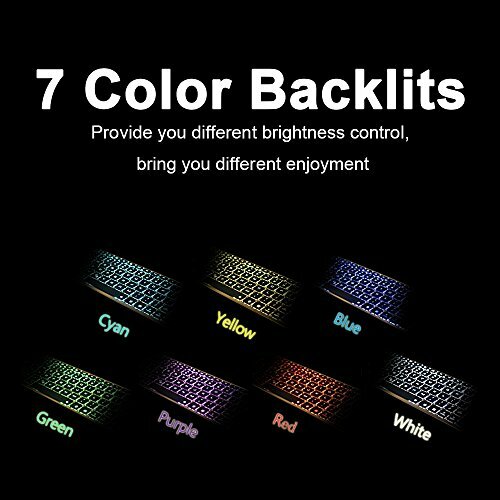 MAGIC 7-COLOR BACKLIT DESIGN FOR NIGHT: Not only for providing you amazing color control enjoyment experience, but also for seeing more clearly when you are tying at night. 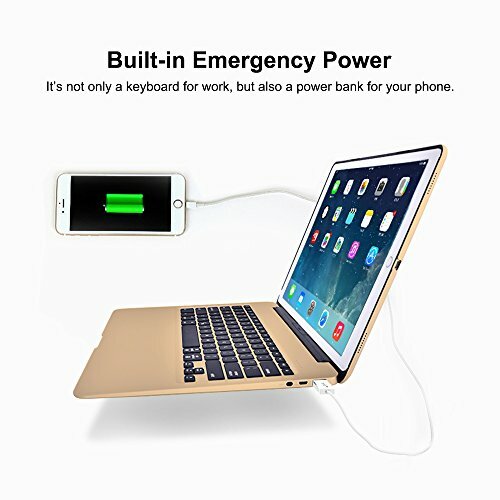 AMAZING & PERFECT CAPACITY POWER BANK: Built-in 5600mah capacity power bank, will bring you unbelievable and amazing charging experience, also, you never worry about the power when you using your smart device such iPhone. 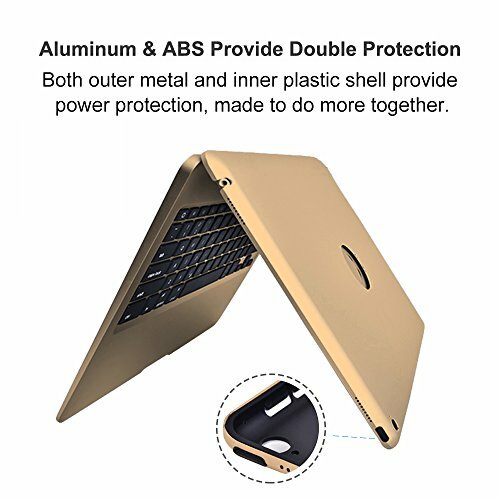 ULTRA SLIM & PORTABLE DESIGN: Clamshell type of design, the thickness of key only 4mm, wherever and whenever, it's very convenient for you to carry such as you are in travel or do business in foreign country. 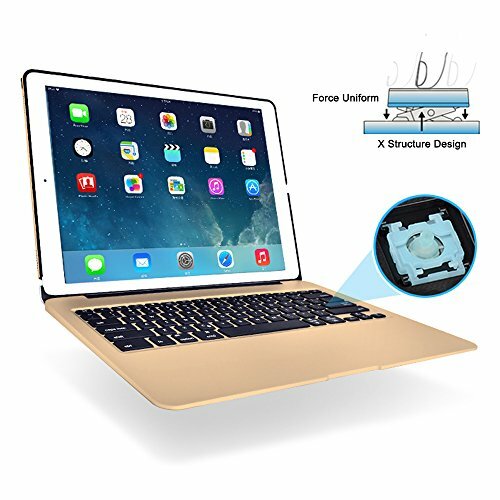 SPECIAL X-STRUCTURE DESIGN OF KEYS: Whether you're checking messages while answering email or creating a presentation while watching the big game, exquisite and special function keys help you get more out of iPad pro 12.9 than ever before. MOSTOP UNIQUE & AMAZING PROMISE: 180 Days Return or Replacement & Lifetime Warranty Without Condition. Our purpose is timely, professional and integrity. If whatever for any reason, you are not satisfied with our product, you could free to contact us, we will try our best to sovle the problem. Click the "Add to Cart Button" at the Right of this Page to Order Your Set Now! Enjoy the EXCELLENT SHOPPING EXPERIENCE. If you have any questions about this product by MOSTOP, contact us by completing and submitting the form below. If you are looking for a specif part number, please include it with your message.